Partners in Healthcare is a private duty licensed and accredited Home Health Agency. Our services include basic homemaker and personal care with oversight provided by RNs. We also offer services like medication management, access to ancillary medical services as well as other nursing services, which are not covered by acute care insurance such as Medicare, Blue Cross, Cigna or Humana. We are experienced in knowing when and how to access those covered services when appropriate. These are the ways we can benefit you and your family, first we cover where Medicare won’t, with a free comprehensive on site assessment which is done by a RN who develops a client centered care plan focusing on your specific needs. Second, we provide ongoing timely communication when requested between our staff and your medical team regarding medication, complications and status changes facilitating prevention of a rehospitalization. All of these things will help with client/family compliance of your medical treatment plan. Assess the level of care your loved one needs. Develop a comprehensive care plan based on the client’s needs. Provide the client and his or her family with an understanding of the available care options. Consult with the client’s physician or specialist, social worker, hospital or any other provider if necessary, to ensure the care plan is built upon his or her unique needs and those of the family. Our care managers work closely with both the client and his or her family to create a client-centered care plan that works for both parties. Your RN will conduct a home safety assessment and help you address any safety requirements that may be needed. We know that bringing a stranger into your home is difficult in the best of circumstances, and our care managers work hard to match each client with the caregiver that best meets his or her needs and personality. Finally, our care managers work with your family and your care team to monitor any changes in the client’s condition and adjust the care plan as needed. Our Director of Nursing ensures that her team is focused on keeping clients healthy and as independent as possible in the comfort of home. 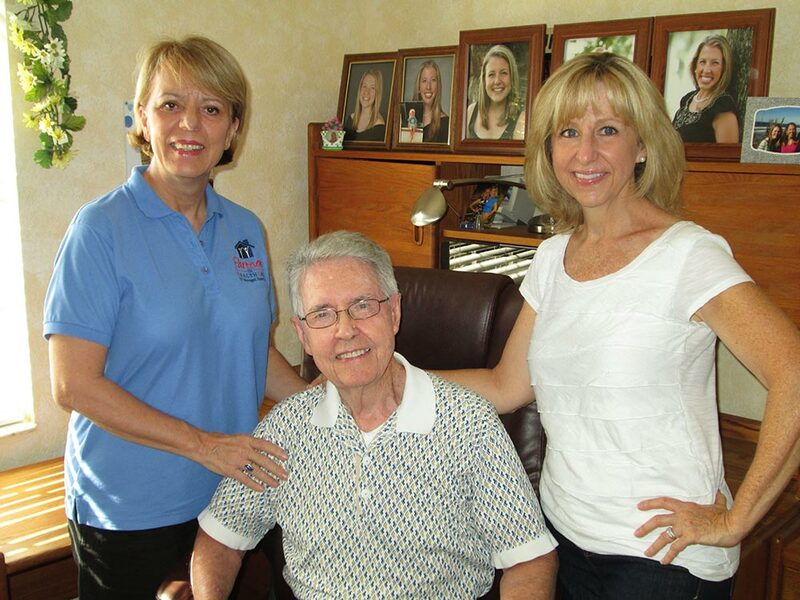 We specialize in Long Distance caregiving supporting families all over the United states and overseas. Want to learn more about our RN-managed home care services? Contact Partners in Healthcare today!